AMDA | AMDA News - GOING TO A BROADWAY SHOW THIS SUMMER? GOOD CHANCE YOU’LL SEE AN AMDA GRADUATE. 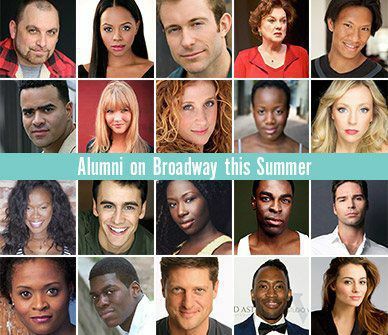 With 20 AMDA alumni in 15 of the current 39 shows on Broadway, you’ll find it easy to catch our alumni in action. Starring in shows such as Les Miserable (Cassie Levy), Holler If Ya Hear Me (Christopher Jackson), Motown: The Musical (Kyrstal Joy Brown), Matilda the Musical (Christopher Sieber), Rock of Ages (Genson Blimline) and Mother and Sons (Tyne Daly), AMDA alumni give powerful and engaging performances night after night. We congratulate all of our graduates currently on Broadway for their wonderful work and achievements!